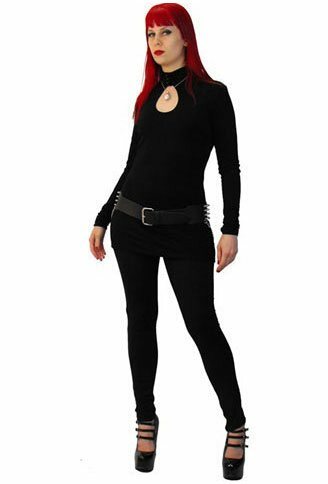 Soft, stretchy leggings with keyholes down the back of the leg which are marked by a contrasting silver rivet. Definitely one up on ordinary leggings. Imported from the UK.